 JWI is a premier Washington, D.C.-based political and business consulting firm with an exclusively international practice. The firm serves political entities including sovereign governments, political movements and non-governmental organizations, and international corporations pursuing market development, project participation or project funding. JWI services are provided by its leadership, a hands-on corps of experts drawn from the highest ranks of U.S. intelligence, diplomacy, security, finance and industry. Each of these individuals functions as the hub of extended circles of contacts in government, non-governmental organizations, think tanks, the media, funding institutions and industry. The firm’s value, though, goes beyond who its people know to what they know: the complexities of international issues, policy development processes, security solutions, financing channels, digital advocacy and business realities. Tailoring their knowledge, networks and access to every challenge, JWI’s team aggressively pursues client interests… and gets the job done. Africa – JWI has years of high-level political and commercial involvement in Africa. Its Africa Advisory Board of U.S. military, diplomatic, and international finance leaders delivers specialized expertise, including Millennium Challenge Corporation (MCC) support. The Middle East – JWI principals, a number of whom are proficient in Arabic, have an exceptional knowledge of the area’s issues, culture and leaders, developed over years of in-country professional activity. The Caucasus and Asia – JWI continues to guide diverse investment and political initiatives in the region. Central and Eastern Europe – JWI has represented several of the region’s sovereign nations and political movements. JWI received a call from a Minister of a national government that is a client of JWI. The government was confused about requirements in its agreement with a major international funding institution. Knowing that JWI has excellent connections with senior-level personnel at the organization, the Minister asked JWI to obtain authoritative clarification. Within hours of the call, JWI was able to utilize its strong, established contacts and resolve the confusion, enabling the Minister and his nation to adjust policies accordingly so the agreement could proceed.